NATURAL LIGHT ABOUNDS in beautifully designed modern farmhouse. 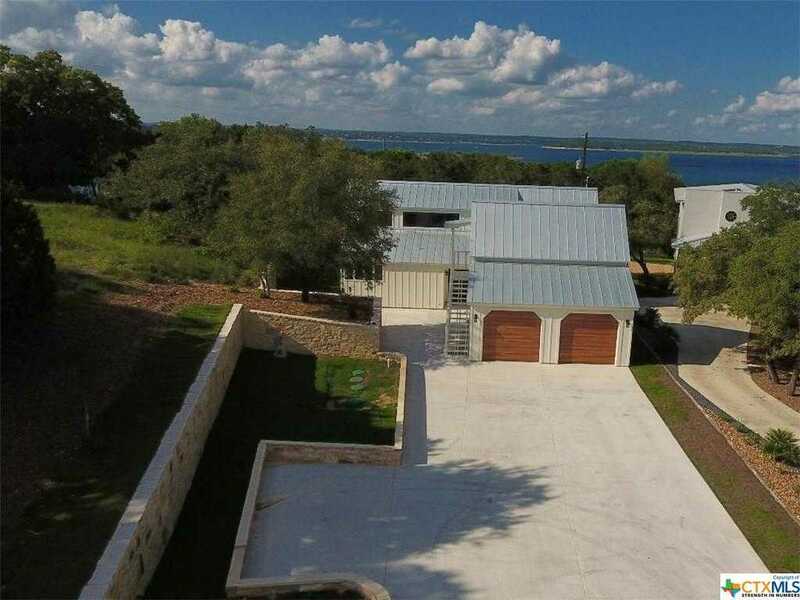 Brand new construction boasts of amazing Canyon Lake views. Flexible, open floor plan has 2 story 4 bedrooms 3 baths. Hand-hewned hickory hardwood floor, Paul Young windows, exquisite trim work. 50x12 covered porch with stunning lake view can be accessed from living or master. Open and airy kitchen has stainless appliances and glass door cabinetry. Oversized utility room has countertops with convenient finish out. &#xD;&#xA;&#xD;&#xA; 6000 sq ft concrete driveway with 2 car garage. NATURAL LIGHT ABOUNDS in beautifully designed modern farmhouse. Brand new construction boasts of amazing Canyon Lake views. Flexible, open floor plan has 2 story 4 bedrooms 3 baths. Hand-hewned hickory hardwood floor, Paul Young windows, exquisite trim work. 50×12 covered porch with stunning lake view can be accessed from living or master. Open and airy kitchen has stainless appliances and glass door cabinetry. Oversized utility room has countertops with convenient finish out. 6000 sq ft concrete driveway with 2 car garage. Please, send me more information on this property: MLS# 363856 – $499,000 – 527 Cindy, Canyon Lake, TX 78133. I would like to schedule a showing appointment for this property: MLS# 363856 – $499,000 – 527 Cindy, Canyon Lake, TX 78133.